If you’re a Trump supporter you are likely to be outraged by “Saint Judy.” If you consider yourself a soul buddy of Alexandria Ocasio-Cortez, you will cheer. However if you are not fond of movies that ooze sentimentality, that have predictable conclusions in which even those who prosecute cases against asylum seekers for ICE move to the left, you will be disappointed, pardon my cynicism. Director Sean Hanish demonstrated his interest in movies that tug the heartstrings in ”Return to Zero,” covering a couples doubts about pregnancy. “Saint Judy” has its heart on its sleeve, based on a true case fought by Judith Wood (whom we see in the final scene). However it’s difficult to believe that an asylum seeker from Afghanistan can speak perfect English, and with an American accent rather than the British one from which non-English speaking people in the Middle East get instruction. Of course she is beautiful and confident. It is also difficult to accept the court process by which this asylum seeker gets the full attention for two days of a federal judge and then the opportunity to take her battle to an appeals proceeding followed by a large audience of spectators. Judy Wood (Michelle Monaghan), the title figure, has spent ten years as a public defender, a woman with a zeal and knowledge of the law willing to give up the big bucks that she could probably get in private law assisting people with money. She moves from New Mexico to California opening a clinic to handle clients who do not have much of a voice. Her prior boss (Alfred Molina) is burned out, once a firebrand known for helping people like ones Judy is dealing with but now having faced the reality of putting his two kids in college. Judy visits Asefa (Leem Lubany) in a detention center, finding her disheveled and unresponsive, drugged into a near comatose condition. When Asefa is ready to talk she tells the story of how she was attacked in her native village by men because she is teaching female children to read. In jail she is raped repeatedly. She now claims asylum, insisting that if she is deported, she will be killed by her family for “dishonoring” them. She has the chutzpah to be raped and is considered a fallen woman. Flashbacks to Afghanistan show Asefa marching boldly to school with a group of girls only to be pelted with stones. Discouraged by her boss who thinks the case is a loser, Judy presses on, setting up a two-days’ trial in front of Judge Benton (Alfre Woodard with the government side handled by Benjamin Adebayo (Common). Adding to the glitz and commercialism of the film she has to deal with her ex-husband Matthew (Peter Krause) who accuses her of spending all her time on her clients, neglecting domestic bliss. He gives her name of Saint Judy as a pejorative. We’re in Erin Brockovich country, highlighting an idealistic woman who fights so card for her clients (actually she has only one client) that she can’t pay any of her bills nor can she keep the electricity on in her office. Monaghan shows her pluck, but the idealism, jacked up by James T. Sale’s pop music in the soundtrack, turns what could have been a more powerful, authentic film into slick commercialism. Filmed in Santa Clarita, California. A comic whose identity eludes me once said that General Stanley McChrystal “sleeps standing up.” This exaggeration is based on the man’s discipline: he sleeps only five hours a night, runs seven miles in the morning before the sun comes up, and eats only one meal a day. He has been genuinely liked by the men who serve the U.S. in Afghanistan, and if you go along with the truth of “War Machine,” you’ll note that he never has to raise his voice. He is deadly serious about the mission, but in the obviously campy way that writer-director David Michȏd casts him, he appears to take the war as a bad joke. Michȏd, whose “The Rover” illustrates an unusual bond by a loner who sets out to retrieve his stolen car, deals this time with a man who is no loner, but who in fact is Obama’s appointee to leads the war in Afghanistan. McChrystal, the obvious object of the writer-director’s bitter, yet comic take on the seemingly endless war and on the general, is portrayed by Brad Pitt in the fictional role of General Glen McMahon, who is seen several times running in the dark after his brief rest. His role, as one critic states, could have been better played by John Goodman, but really—a morbidly obese actor as a hyperactive four-star general? Pitt does OK in his campiest role, treating victory in the war as a can-do American goal, asking the President for an additional 40,000 troops though Obama is intent on whittling down the manpower, and lobbying France and Germany for contributing proportionally as stalwart American allies. The men under his command accept what he has to say in his pep talks, but not so the Afghan resident goatherds of a godforsaken village, who don’t care about receiving blood money from the allies and simply want the invaders to leave. Going over the top in making Afghan President Hamid Karzai of Afghanistan a buffoon, Ben Kingsley plays the fellow not as corrupt as he has been made out to be by the American media but as an inept, out-of-touch man who wants to be called “Hamid” and not “Mr. President,” a spot-on choice by Karzai considering his relative indifference to the war and his compulsion to watch TV while in bed with a cold rather than chat with the general. 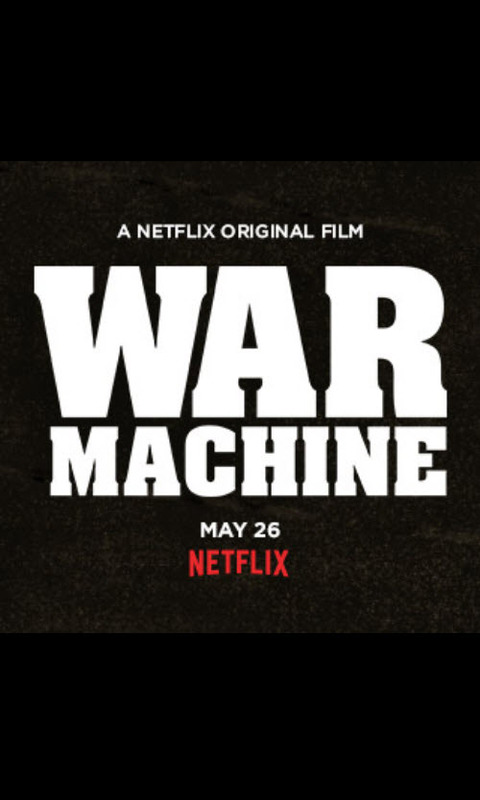 The movie has too much intrusive music and too much narration by the journalist from Rolling Stone magazine whose highly critical article led President Obama to fire the general, though Obama himself becomes an object of satire for his lack of contact with McMahon. As the Rolling Stone journalist notes, the general met with the president only once, appearing to equate Obama with Karzai for incompetence.